We also offer full service mail house fulfillment capabilities. We can supply the item(s), print your sales material, fold/insert, affix postage and deliver to the post office. We’re your one-stop-shop for all your 3D Mail and direct mail needs. We offer a full range of printing options as well. Just contact us with your ideas, we can make it happen. We’re also one of the premier suppliers of promotional and imprinted products in the country. Click here to see more than 600,000 promotional products you can use to be sure that your customers, patients or prospects never forget about YOU! Whether you are looking for a specific item or just browsing for ideas, our site is your one-stop source (3D Mail Results is a division of American Retail Supply. This is the promotional products site for both businesses). Not sure what you need or what we can do for you? Just call us toll free at 1-888-250-1834 from 8 AM to 5 PM PST Monday through Friday and talk to a real live person. Travis Lee is internationally known as the expert in getting direct mail delivered, opened and read. As co-founder and president of 3D Mail, he generates huge returns for thousands of businesses each year who use his innovative and effective marketing strategies. His unique, yet tested marketing methods have helped add millions of dollars in sales to a wide variety of businesses, from “kitchen-table-run” sole-proprietors, to National and Multi-National businesses mailing millions of pieces of mail a year. His techniques and strategies move seamlessly between the business-to-business and business-to-consumer worlds and consistently provide positive returns of 200% to over 3500% for his clients. He is the “Go-To-Guy” to many of the top marketers in the country for 3D Mail ideas and implementation, including Dan Kennedy, and his company, GKIC, Bill Glazer, Chris Cardell, and his clients include a “Who’s Who List” of top direct marketers in the world. He is also a sought after speaker, speaking to thousands of business owners each year throughout the country. He has spent the last 8+ years creating some of the most successful direct mail campaigns, specifically designed to give small businesses and entrepreneurs a leg-up against the competition. He is the creator of the 3D Mail Direct Marketing System, through which his company provides specialized direct mail and ready-to-use sales letters to thousands of clients around the world. To learn more about this one-of-a-kind system click here. When he isn’t working, Travis loves spending time with his family (wife Jen, son Carson, daughter Whitney and Gold Retriever Kona), traveling, snow-skiing, camping, and boating around the beautiful Pacific Northwest. 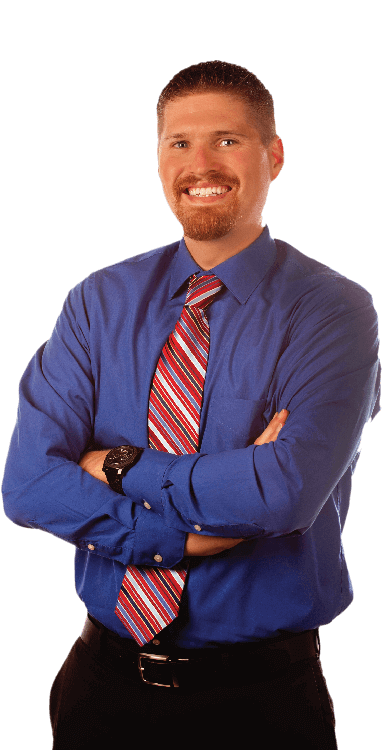 Travis is available for copywriting projects, consulting, and speaking engagements. To arrange an appointment for any of these services, please call 888-250-1834. Imagine the reaction when you see a message in a bottle, or a bank bag, or a boomerang arrive in your mailbox. It’s unique, it’s different, and it arouses curiosity. The vast majority of direct mail goes unopened and directly into the trash can… but not 3D Mail. 3D Mail stands out. It looks different than anything else your customers or prospects receive in the mail. If your direct mail isn’t read it can’t be acted upon. 3D Mail ensures your direct mail message gets opened and read every time, guaranteed. Create a unique experience your customers or prospect has never seen before. 3D Mail can attract new customers and leads, keep your existing customers engaged and get them to purchase more often. It can even reactivate your lost leads or customers that have slipped through the cracks.